Eyewitness News update on cancelled flights. NEW YORK (WABC) -- Nearly 3,000 flights were canceled Tuesday at New York City's three airports during the snowstorm. American Airlines canceled all its Tuesday flights at Newark Liberty International Airport, LaGuardia Airport and JFK International Airport. The other airlines are likely to follow. 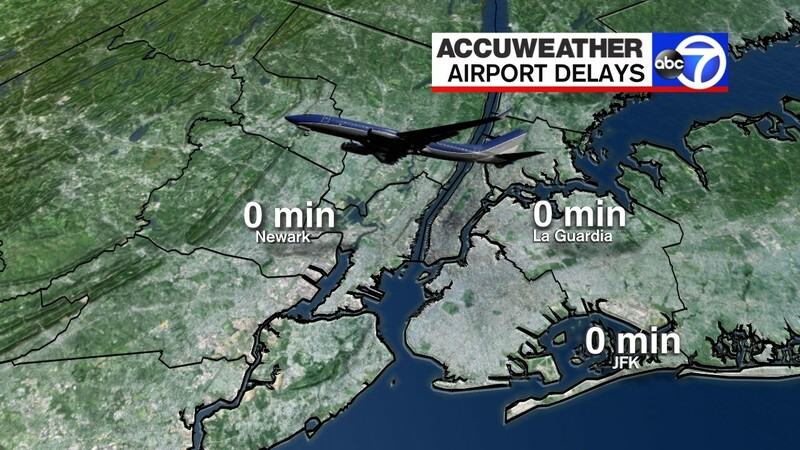 On Wednesday, 103 cancellations are expected at LaGuardia, 72 at Newark, and 32 at Kennedy. American said it plans on resuming normal operations for Wednesday. Click here for the latest AccuWeather forecast. Stay with Eyewitness News for the latest on the AccuWeather forecast.